The Average American Man Is Too Big For His Britches Growing waistlines, a savvy clothing industry and good old-fashioned stubbornness have kept many men in pants that don't fit. It doesn't have to be this way. 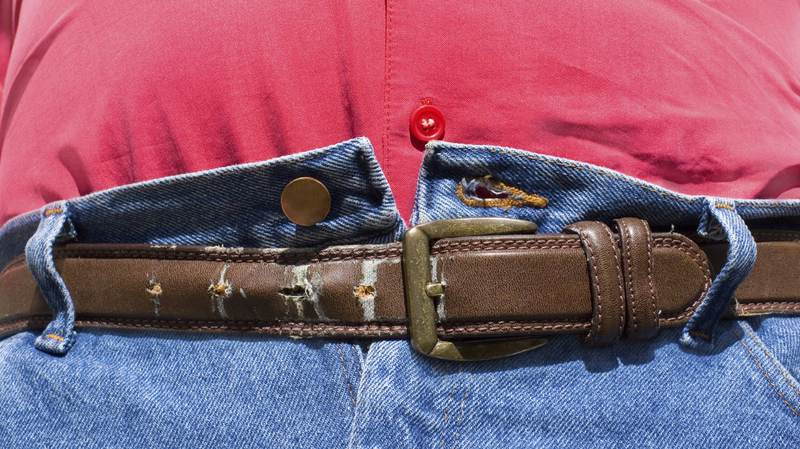 Men — it's time to take a hard look at your pant size. When my colleague Viet Le started writing about his struggle to find clothing that fits him as an "extra-small" man in a world that idolizes "big and tall," I was intrigued — and a bit confused. Viet has never struck me as an especially small guy. At 5 feet 6 inches tall and 128 pounds, is he really that far out of the mainstream? So, yes, Viet is exceptional by American standards. 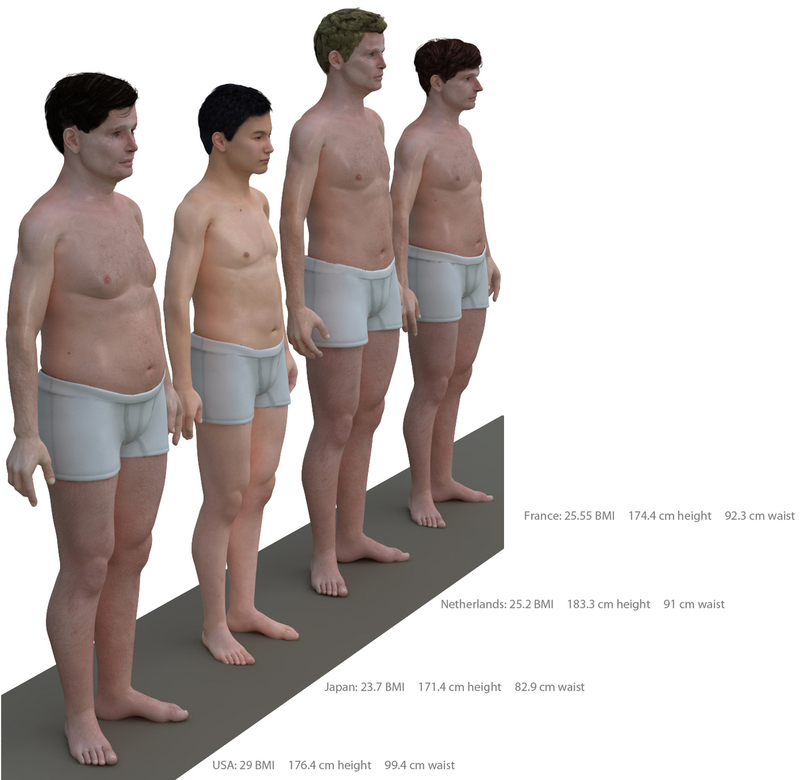 Artist Nickolay Lamm has modeled what this hypothetical average man (age 30-39) might look like, comparing him with other regular guys from across the world. Sizes for average adult men in America, Japan, the Netherlands and France. If he were wearing pants, you might think our average Joe would be in a size 38, 39 or 40, depending on the cut. But, turns out, the top-selling pant/trouser size in the U.S. is actually a 34. That information comes from Edward Gribbin, president of the clothing size and fit consulting firm Alvanon. His company has body-scanned over 400,000 people across the world and has access to sales-by-size figures for major U.S. retailers. "Of the guys who actually have a waist close to the average (between, say, 38 to 40 inches), the highest percentage buy size 34 pants (close to 55 percent), followed by size 36 (about 35 percent). Only a very small percentage buy size 38," he explained in an email. Secondly, guys with a waist bigger than 35 to 36 inches tend to have a prominent belly, Gribbin says. The more it sticks out, the lower men wear their pants. "They can wear a smaller size, and though the belly hanging over is not the most attractive sight, most men don't care," Gribbin says. Finally, there may be a certain amount of stubbornness at play. Gribbin says men don't intentionally "buy a smaller size for reasons of vanity" — they just continue to grab the size that they've always bought. "They are more creatures of habit, and if they wore size 34 as a younger man, they just continue to buy that size ('their size') even after they've gained 10, 15, 20 pounds," he says. So, gentlemen, take some of the advice they've been dishing out to women forever: Ignore what the tag says, try it on and buy what truly fits. Dress for the body you have, not the body you think you have. Or want.